No, it wasn’t my book that was being signed at W.H. Smith (dream on, Jules). 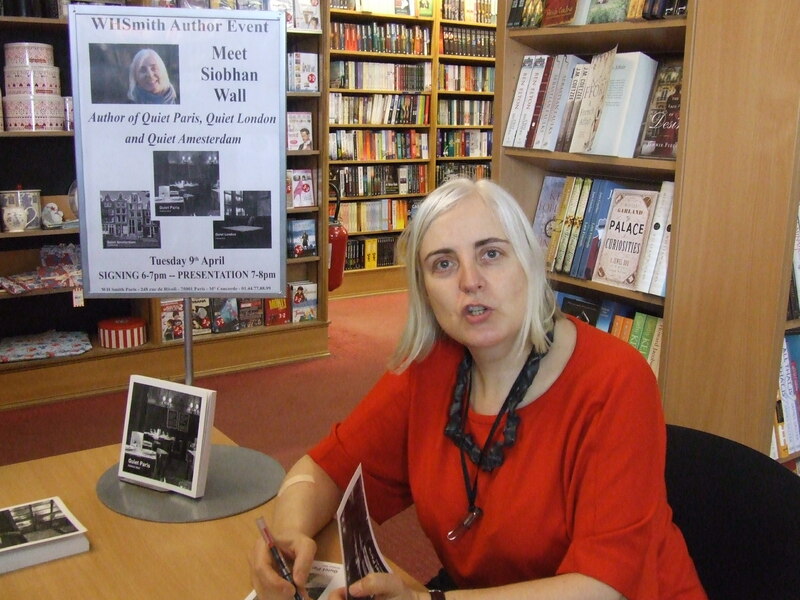 It was a charming new book entitled Quiet Paris that I purchased and had signed by the author. Two years ago I bought her Quiet London edition; I still love and use it. Here’s the publisher’s blurb: Paris is a beautiful city with astounding architecture and world-famous museums and restaurants. Because of its many attractions, however, it often feels as if there is nowhere to escape from the crowds. Siobhan Wall, author of Quiet Amsterdam and Quiet London, has sought out hidden, tranquil places so that Parisians can find some respite from their busy lives. She has gone in search of small museums and cafés so that visitors to the city can discover another, quieter side to this entrancing metropolis. From formal gardens to light-filled art galleries, chic boutiques, small tearooms and gourmet delicatessens, Quiet Paris has over one hundred and twenty tempting places to savour the quiet delights of this most seductive of cities. I recommend this book because it lists off-the-beaten-track places that are quiet and noteworthy. 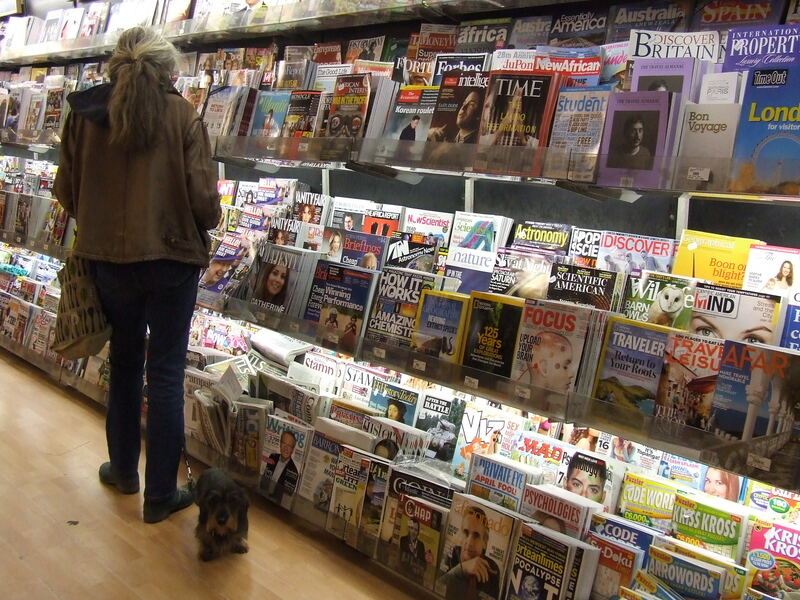 I’ll personally be exploring some of them, just as I explored the places she recommends in London. Leaving the bookshop at 6:30 pm, I had no desire to cook dinner at home, so I took myself to a favourite restaurant four minutes away from W.H. Smith. 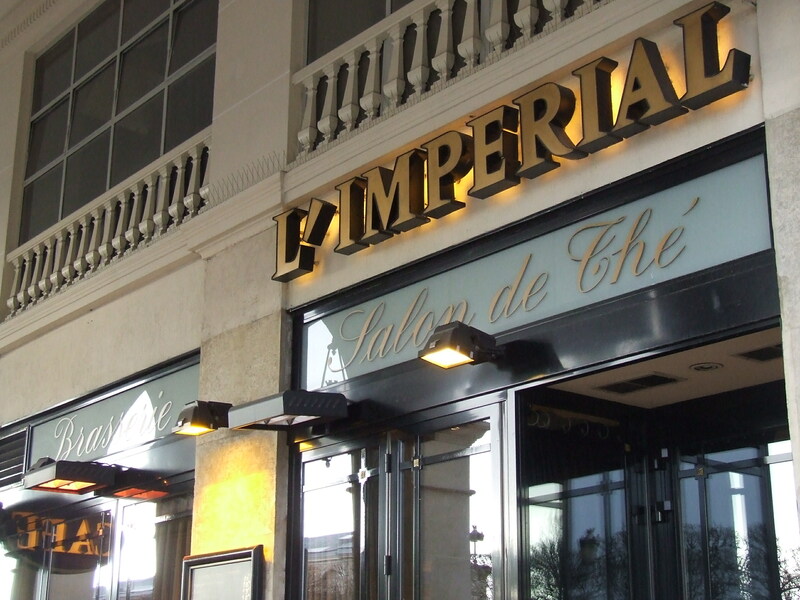 Located on the rue de Rivoli across the road from the Tuileries Gardens, it’s called L’Imperial. Sometimes when you’ve been working all day, you just want to sit quietly in a restaurant and have your meal brought to you. A restful interlude. I ordered a Martini Bianco on ice and leafed through my new Quiet Paris book. A nice little bar at the back Hmm … who’s that man? This is an eatery geared more for tourists with the exception of lunch during the week when the place fills up with Parisians who work in the area. They do some nice lunch specials. A few years ago I worked near the Place de la Concorde and came here for lunch with colleagues. I particularly like their filet de cabillaud rôti à la provençale écrasée de pommes de terre à l’huile d’olive (provençal-style roasted filet of cod served atop mashed potato with olive oil.) I ordered some. 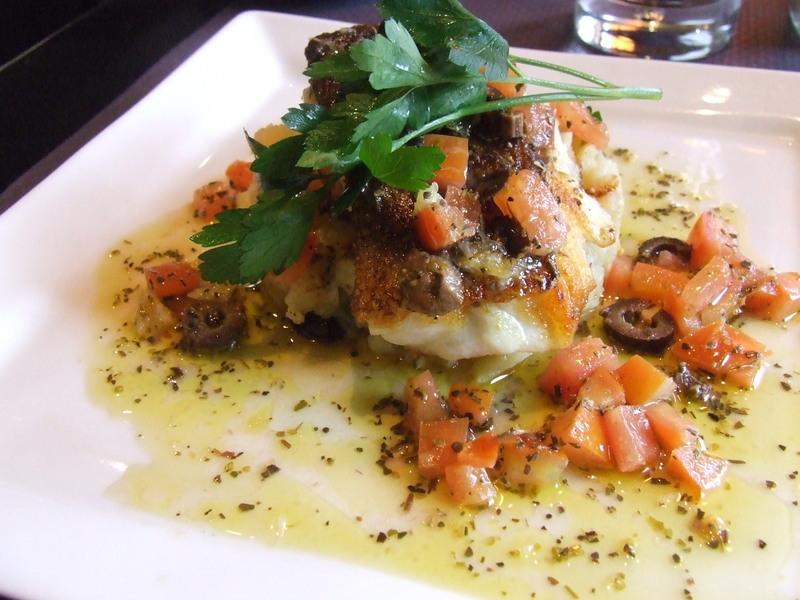 Service is swift and professional, portions generous and served up hot. They also do a nice boeuf bourguignon served on mashed potato for 15 euros, onion soup for 10 euros, roast chicken and mashed potato for 14 euros, an omelette for 10 euros, a cheeseburger and fries for 14 euros, a croque-monsieur for 8 euros, three different cuts of steak served with fries (called and spelled steack-frites in France), a selection of large salads and other items. For the location, the prices are very reasonable indeed. I’d just like to add that for those who think that the most favourite dish of the French might be, I don’t know, coq au vin or confit de canard, they’re wrong. The most popular dish here is steack-frites served with red wine, crusty baguette, and maybe a small green salad on the side and cheese to follow. Below I’ve listed a few addresses where you can enjoy this substantial and heavily calorific meal. 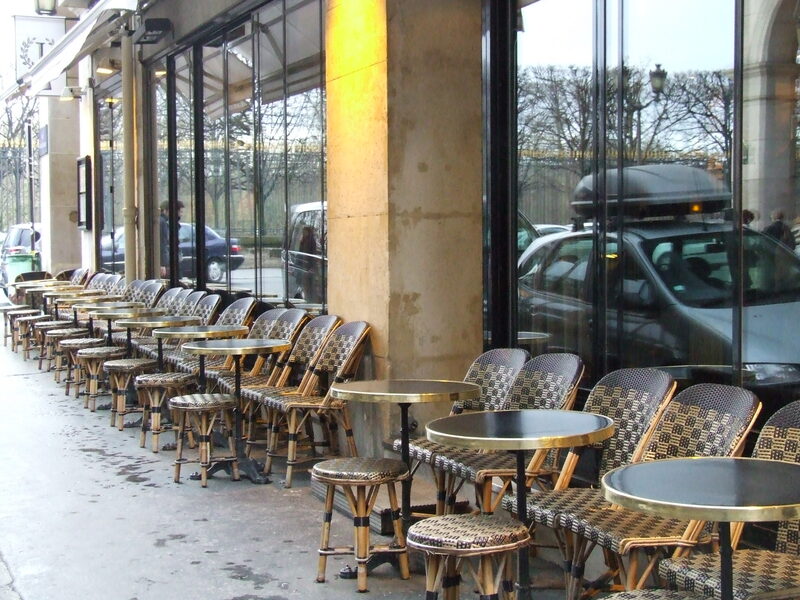 When the warm weather comes, I recommend that you sit outside during lunch hour when the sun hits just nicely the row of tables lined up along the side of the restaurant, allowing you to enjoy a bain de soleil (a sunbath) while you eat. 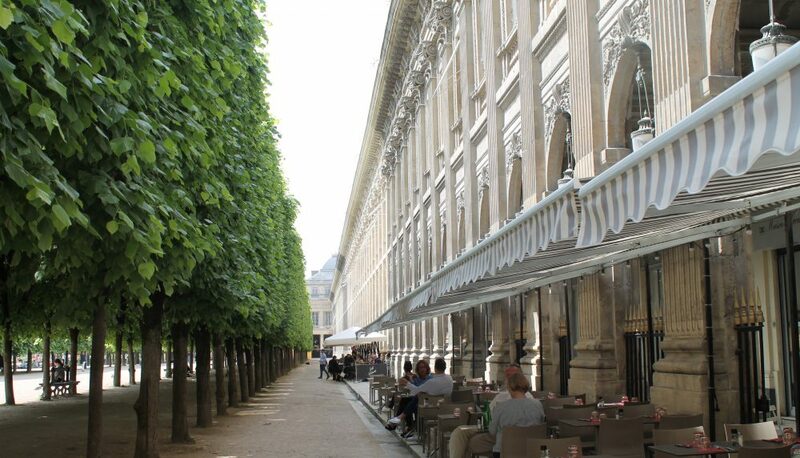 Afterwards you can stroll in the Tuileries Gardens or visit the Louvre museum. 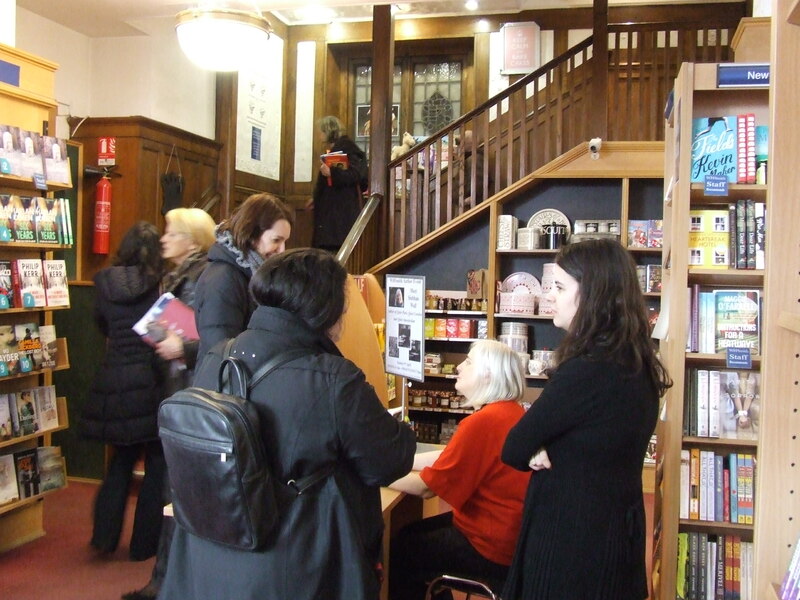 Or pop into the gorgeous, independent bookstore, Galignani, at 224 rue de Rivoli. 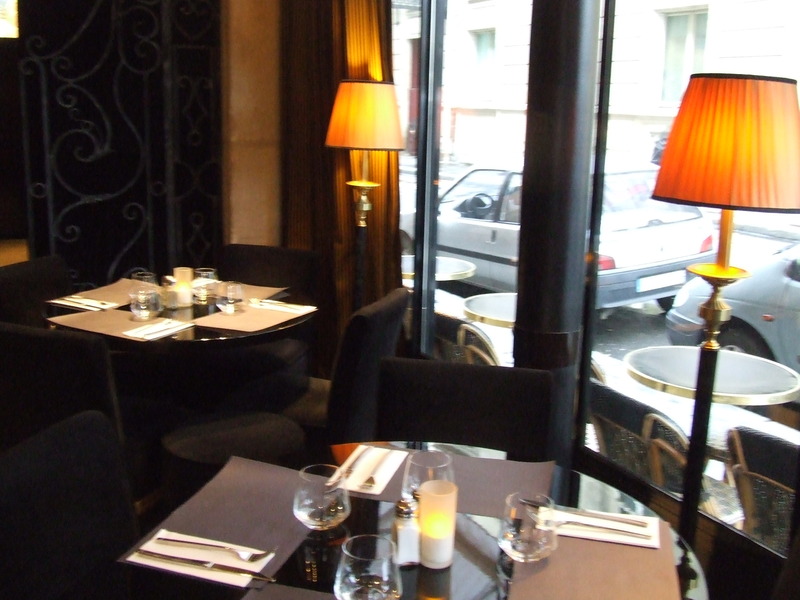 L’Impérial, 240 rue de Rivoli, 75001 Paris, between Tuileries and Concorde metro stations. Steak-frites: There’s a rather pricey restaurant on the rue Marbeuf, just off the Champs-Elysées near Franklin Roosevelt metro station, that serves up really good beef, fries, wine, etc. But it’s not cheap and I’ve read mixed reviews about the place lately, so be forewarned. La Maison de l’Aubrac, 37 rue Marbeuf. Aubrac is a region in France known for its cattle breeding (raised for meat), delicious Cantal cheese and Laguiole knives. Now this place, on the other hand, is popular and reasonably priced. 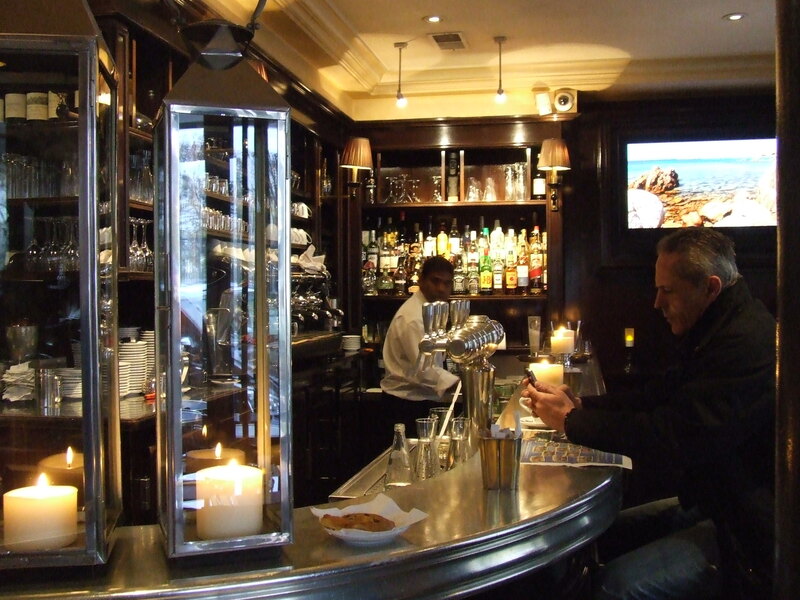 It’s called the Relais de l’Entrecôte and there are three locations, one of them at 15 rue Marbeuf. You have to line up but the queue moves fairly quickly and there’s only one dish so you don’t order, you just tell the server how you like your meat cooked. She brings you a small green salad followed by a platter filled with thickly-cut slices of beef covered with their delicious secret sauce and a mound of hot fries. The portions are fairly small but once finished, she brings a second helping. The atmosphere is fun and convivial. Unless you’re a snob, you’ll enjoy the place. The other two locations are in the 6th arrondissement at 20 rue Saint-Benoît and 101 blvd. du Montparnasse.